NEW ULM — After a lengthy legal battle, the Diocese of New Ulm and a St. Paul law firm have jointly released the names of 16 priests who have been credibly accused of sexual abuse of a minor while assigned as priests. Of the 16 men, 13 are deceased and all but one — Cletus Altermatt — have been named in prior media reports. The names were released at a news conference Tuesday morning held by the law firm Jeff Anderson and Associates, during which two victims shared their stories. "In order for kids to be safe, the names of the credibly accused need to be out there," attorney Mike Finnegan said after the conference. The release of names is also important so survivors know it's safe to come forward, Finnegan said. More priests are expected to be added to the list now that it's public, something that has happened after other dioceses in the state have released lists. The Diocese of New Ulm was the last one in the state to release its list of names. Attorneys and religious leaders characterized the release Tuesday as resulting from months of discussion and sharing information, a process that remains ongoing. For several years, attorney Jeff Anderson and his firm have been filing lawsuits in several Minnesota district courts, including in Brown County, on behalf of victims claiming they were sexually abused by priests. Many lawsuits included requests to have the lists released to the public and similar lists created by dioceses in Minneapolis and St. Paul, St. Cloud, Winona, Duluth and Crookston have been released either voluntarily or through court order. The release also is significant because Archbishop John Nienstedt in St. Paul was serving as bishop at the Diocese of New Ulm when its list was created in 2004. Finnegan has previously said that Nienstedt chose to keep the list secret. Finnegan said releasing the names was also an important step to remind people of the May 25 deadline for survivors to come forward without needing to worry about the statute of limitations, as stipulated in the Minnesota Child Victims Act. Msgr. Douglas L. Grams said the Diocese of New Ulm encourages anyone who has been a victim of sexual abuse to report it immediately to law enforcement and seek out counseling and other spiritual assistance from the diocese. "We recognize that knowledge and disclosure of the names helps victims and survivors in the healing process," he said. The three priests on the list who are still alive are Dennis Becker, Robert Clark and Douglas Schleisman. The other priests are: Cletus Altermatt, Gordon Buckley, J. Vincent Fitzgerald, John Gleason, Joseph (Louis) Heitzer, Rudolph Henrich, Harry Majerus, Francis Markey, William Marks, John Murphy, David Roney, Michael Skoblik, and Charles Stark. Altermatt was ordained in the Diocese of Great Falls in Montana in 1943. 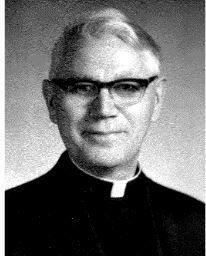 He was incardinated into the Diocese of New Ulm in 1968 and died in March 1978. Four of the 16 — Fitzgerald, Heitzer, Henrich and Majerus — do not have credible allegations against them stemming from incidents reported to have happened in the Diocese of New Ulm, but they have all worked at some point in what is now the Diocese of New Ulm. A few have worked at churches in the Mankato area, including Markey, who's been accused of sexually assaulting a 15-year-old boy in Henderson and an 8-year-old boy in Granite Falls in 1982. All three of the priests who are still alive have worked at churches in the Mankato area: Becker worked at Holy Rosary church in North Mankato from 1962-1963; Clark worked at Cathedral of the Holy Trinity in New Ulm from 1989-90; and Schleisman also worked at the Cathedral of the Holy Trinity from 1976-81. Of the priests still alive, none are currently involved in the Diocese of New Ulm. While some cases remain in litigation, "most of our cases are decades old," Grams said. In a statement, Bishop John LeVoir of the Diocese of New Ulm said it's important to acknowledge the harm done by abuse in the ministry. "On behalf of the church, I apologize for the grave offenses committed against the vulnerable by those who were ordained to serve our communities," the statement said.